Both Dropbox and Jive are successful companies that are much in the news recently. Jive just filed its S1 for its IPO, while Dropbox raised its first major round of funding at a $4 billion valuation. What’s most interesting to me is that they represent polar opposites in terms of business models. 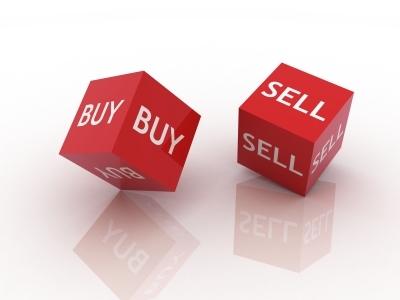 They illustrate the difference between bought versus sold. Jive is a classical enterprise software company. It has a massive direct sales force that calls on CIOs at major companies, looking to make 6-figure sales. The vast majority of sales come from deals of $50k or more. In fact, the S1 specifically cites this category of customer as the one that matters to the business. In this model, software is sold to a high-level decision-maker, who evaluates a number of different vendors, then makes a choice for his company. There may even be an RFP and a product bakeoff. For decades, this is how you built a major technology company (Oracle, SAP, etc.). Dropbox represents a new trend, the consumerization of IT. Dropbox sells its freemium service to a massive number of customers, most of whom pay less than $100 per year, or less than one of the hundred expense account lunches that the average Jive sales rep logs in that same time. Dropbox doesn’t have salespeople. Rather, its product (and its marketing) drive millions to try out the service. Enough of those users choose to buy the product to support a thriving business. Just yesterday, a friend told me that he was paying for Dropbox, and only in part because he needed more storage. “I get so much out of using Dropbox, I just felt like I should be supporting the company.” That’s a product that’s bought, rather than sold. The same comparison applies to established companies. Just contrast Microsoft and Apple, for example. That world is breaking down. First consumers, then workers realized that they could choose what to use. IT departments worry about adoption when considering purchases–that would have been unthinkable a decade ago. Ultimately, I see Jive as the last of a dying breed. I’ve seen the future, and it will be bought, not sold. Like this post? Upvote it on HackerNews. Absolutely agree that the old way of technology sales is disappearing, and thank God! My software business has 200+ enterprise customers on 4 continents and we do not have a sales person or an outbound marketing budget. If you have technology that provides value, they will find you. We are proud users of both DropBox and JungleDisk!